With offices in Dallas and Carrollton, The Contact Lens Centers has been serving Texas' DFW area for more than 35 years. Welcome to our Carrollton Location! Situated between Carrollton Heights and Carrollton Highlands, our vision center is able to provide a wide range of eye care services to the people of Carrollton. Not far from Park Place, our optometrists are conveniently located near you providing reliable eye care without the hassle. 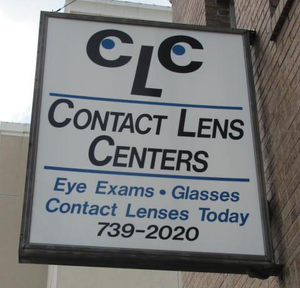 With 35 years of experience in the region, The Contact Lens Centers is your leading source for all vision and eye care needs in Carrollton, TX. Our eye doctors are here to keep your vision sharp and healthy. We perform thorough eye exams for patients of all ages, as well as precise contact lens fittings, co-management for LASIK and cutting-edge treatment for eye disease. If you’re in the market for new eyeglasses, our Carrollton optical collection is sure to have the perfect pair of designer frames to support your vision prescription and give you an awesome, stylish look. We are dedicated to serving our patients with the best eye care possible. This suburb of Dallas was founded originally in 1842 as an agricultural settlement. After World War II, Carrollton grew and developed by leaps and bounds and was recently titled the 15th best place to live among small cities in the United States, by Money magazine. To experience a bit of the old-time neighborhood, we encourage you to spend a day or evening in Historic Downtown Carrollton. Nestled within this charming area is a movie theater, antique shops, plenty of restaurants and Bloom’s Candy, a fantastic retro candy store that features vintage sweets, such as bacon cotton candy and Dr. Pepper’s chocolate bars. There is a quaint central square with a gazebo where shows and concerts are frequently held. The A.W. Perry Homestead is another way to enter the history of Carrollton, Texas. This farmhouse is set against a picturesque backdrop, ideal for family photos or simply gazing and relaxing. The museum exhibit introduces visitors to pioneer settlement life in the late 19th century. Sandy Lake Amusement Park is a wonderful place for family fun. This no-frills park has all the basics of what you need to keep the kids entertained. Mini-golf makes a great group activity, and there are a variety of rides, a swimming pool, paddle boats and picnic pavilions when it’s time to refuel. To spend time walking through Carrollton’s scenic nature, Nob Hill Greenbelt is the perfect place. This extended trail system offers miles of winding, paved paths to follow. As you stroll, the paths will merge at times with city sidewalks, go over a footbridge and run alongside the local creek. Kids love to bring bread for feeding the domesticated ducks and geese that live here all year. Carrollton, TX, is brimming with flavorful food options, whether you need a snack or a full meal. Babe’s Chicken Dinner House is just down the road from our eye care center. If fried chicken or fried catfish is your passion, you’ll love this restaurant! In the mood for a gyro or schwarma? Stop by Tasty Greek Incorporated to enjoy authentic Mediterranean taste. Of course, no Texas city is complete without a proper venue to enjoy grilled fare. Sid’s Rainbow Grill, located less than a half-mile from The Contact Lens Centers in Carrollton, flips the best burgers around, served wrapped in paper to make sure the juices don’t escape down your arm! 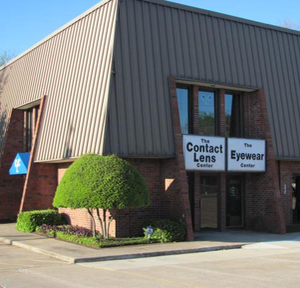 We hope you enjoy the sites of Carrollton, TX, and our eye doctors look forward to seeing you!